KANAZAWA - A Japanese high court ruled Wednesday that two nuclear reactors at a Fukui Prefecture plant should not suspend operations, overturning a lower court ruling in favor of local residents who claim the plant is vulnerable to major earthquakes and other disasters. The Kanazawa Branch of the Nagoya High Court ruled that the No. 3 and No. 4 reactors of Kansai Electric Power Co.’s Oi plant do not threaten the personal rights of those living nearby and the utility firm has not underestimated the size of a potential earthquake in the area. 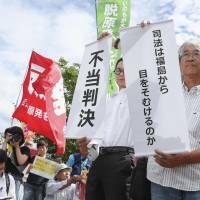 It follows the Fukui District Court ruling in May 2014 against their restart, the first such ruling over nuclear power plants since the Fukushima nuclear crisis in March 2011. It is the first high court ruling given among a slew of lawsuits filed by people seeking suspension of nuclear reactors nationwide. The pressurized water reactors in question already resumed operation in March and May, respectively, after clearing new safety standards in May last year. Those standards were introduced in the wake of the meltdowns at the Fukushima No. 1 power plant that were triggered by a major earthquake and tsunami. The reactors had been idle since going offline in September 2013 for regular safety inspections. Their operations were previously halted in March and July of 2011, respectively, for inspection and restarted in July 2012 after clearing provisional safety standards. During a high court hearing, Kunihiko Shimazaki, a former member of the Nuclear Regulation Authority who was in charge of the screening of the two reactors, testified the utility could be underestimating the size of a potential earthquake when it comes to designing its reactors’ quake resistance. Kansai Electric argued it has made its calculations by assuming longer and wider faults exist around the premises. 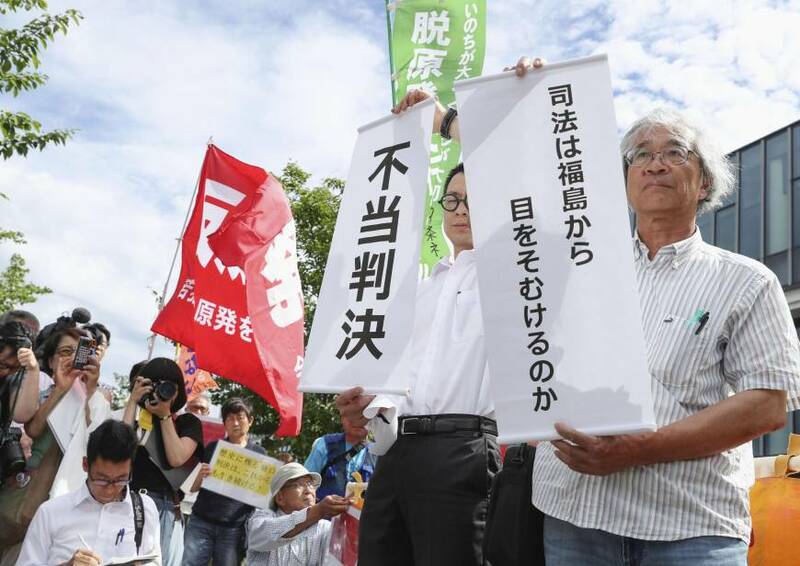 The district court ruled it will not allow the restart of the two reactors, citing flaws in the utility company’s measures against earthquakes and allowing suspension if there are specific risks to people’s most fundamental right to protect their lives. While plaintiffs said the district court ruling was appropriate as it took into account the Fukushima accident and damage it caused, the utility company said the ruling was based on abstract risks and the court needs to base its decision on scientific expertise. Of the plaintiffs, the court only accepted the claims by 166 and rejected those of 23 who were outside the 250-kilometer area around the power plant. Both the utility company and the rejected plaintiffs appealed the ruling.